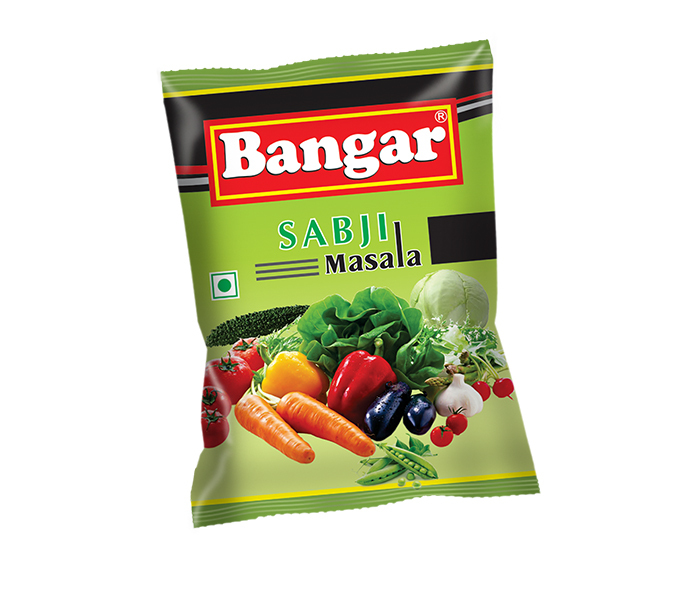 Exotic Blend of freshly ground spices, Bangar Sabji Masala is used in a variety of dishes and other food items. Its a spicy blend for variety of vegetables. A subtle blend of spices combined to enhance the taste of vegetable dishes, Which can spice up the vegetable curry and make dishes tempting and irresistible. In vegetable dishes of your choice to make them delicious, tempting and irresistible. Coriander, Cumin, Chilli, Clove, Dry Ginger, Dry Mango, Black Cardamom, Black Pepper, Cassia leaf, Nutmeg, Turmeric & Common Salt. Clean & Wash the vegetable to be cooked. Prepared it in oil/ghee as normally done. Add Bangar Sabji Masala. Stir the vegegable on low flame for 3-4 minutes. Keep covered for 3-4 minutes. Keep covered for 3-4 minutes so the vegetable retains the aroma and flavour of Bangar Sabji Masala. Delicios vegetable is ready to eat. 50 grams Box 120 6 Kg. 100 grams Box 120 12 Kg. © 2016 Bangar Spices. All Rights Reserved.